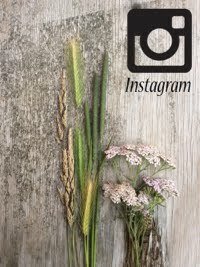 I am so sorry this is going to be a very quick and boring post, the photographs will have to speak for themselves. 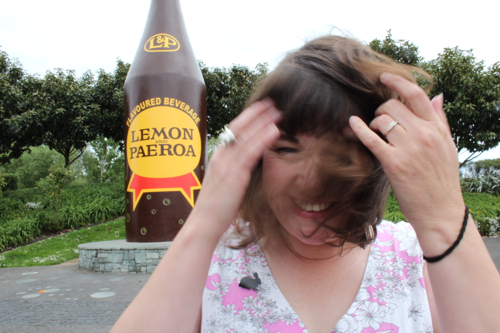 I am having a mental block on stringing a sentence together. 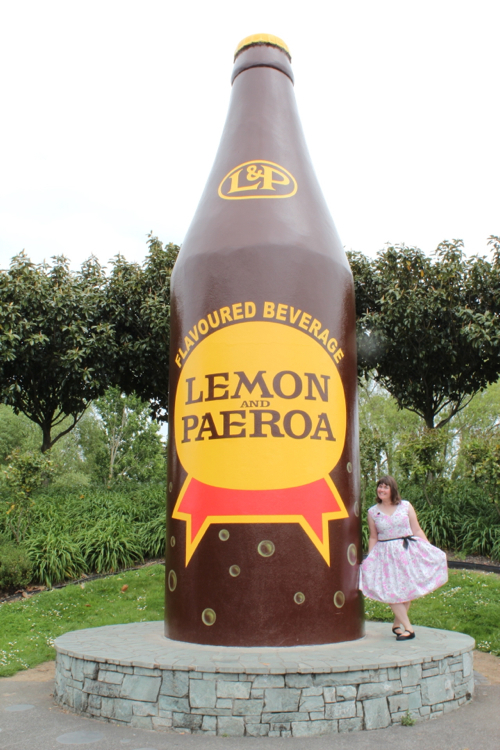 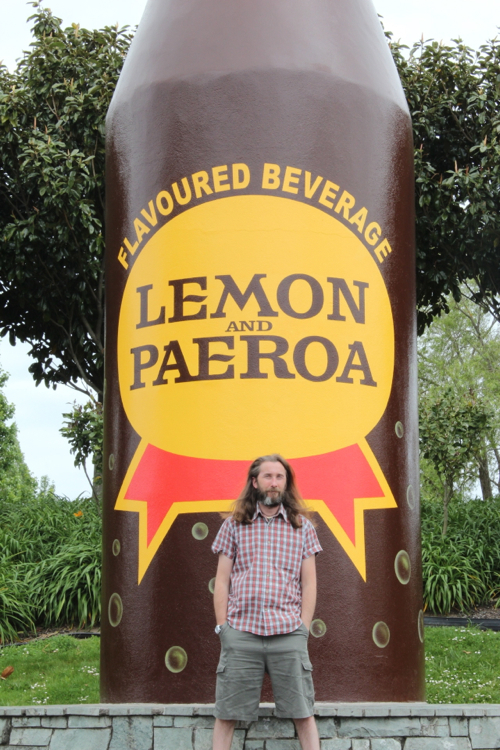 * Cheesy Lemon & Paeroa tourist photo's with bottle. 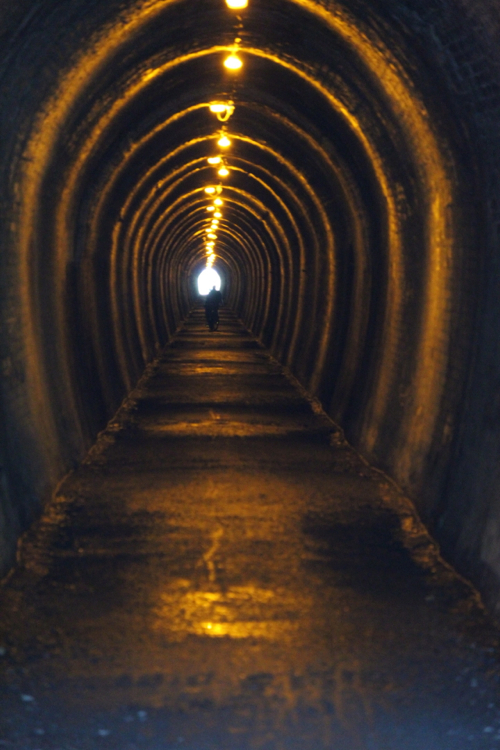 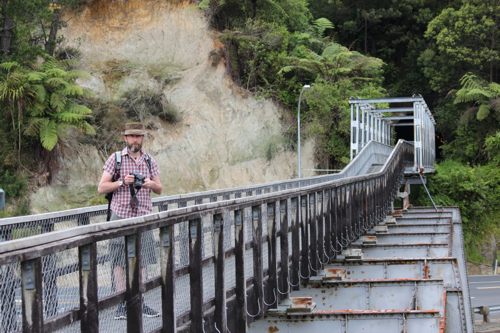 * Amazing bush and tunnel walks at the Karangahake gorge. 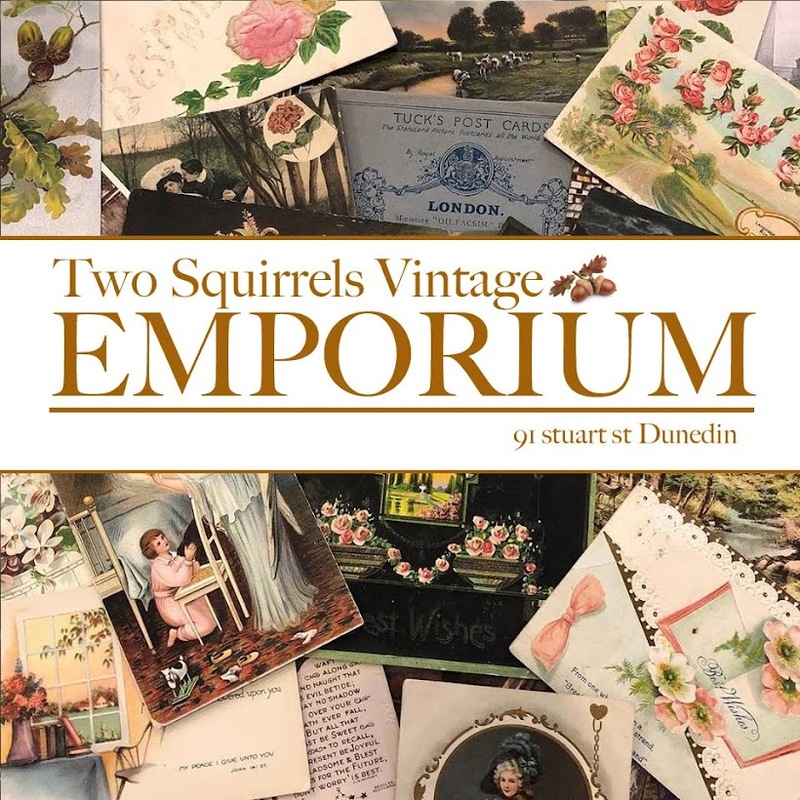 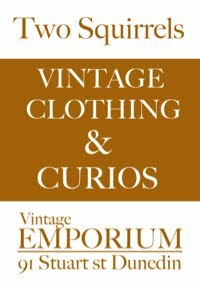 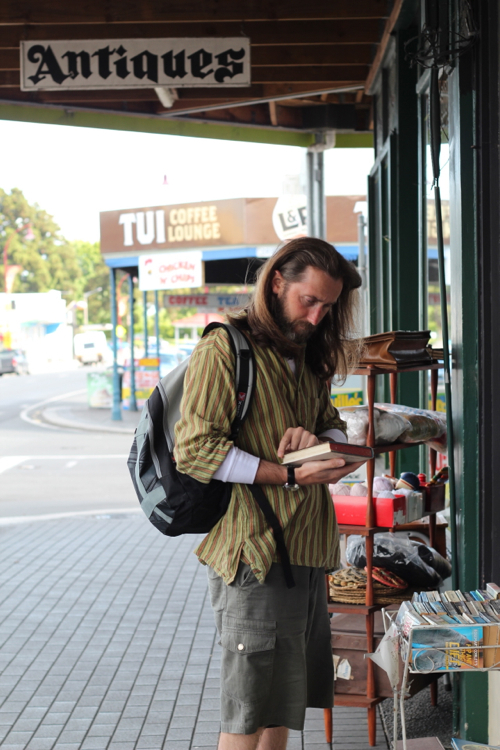 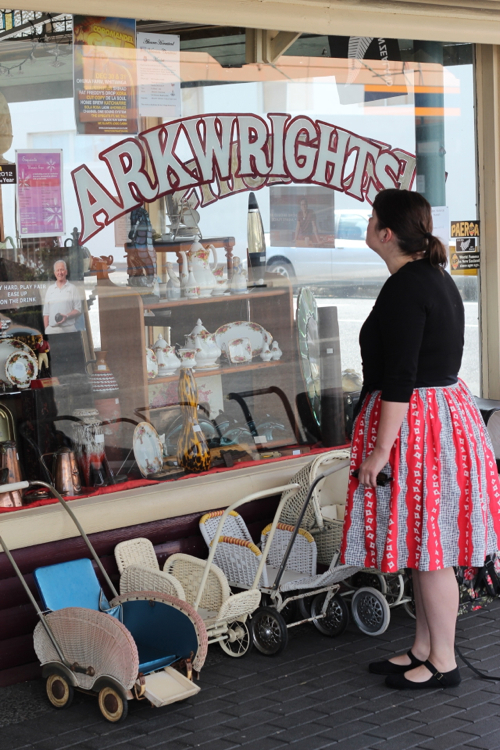 * Very cool and funky array of antique, vintage and retro shops in Paeroa, serious must see!!! 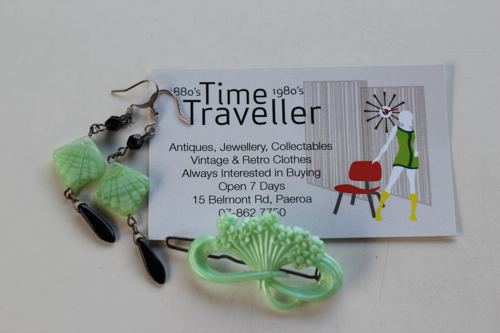 * Finding some lovely vintage earrings and a cute 50's hair-clip in my favorite colour. 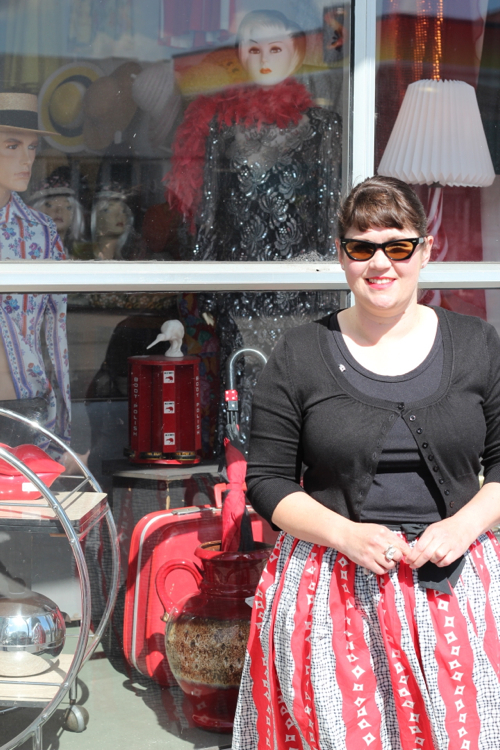 *Wearing an outfit that matched the window display in one of the vintage shops.